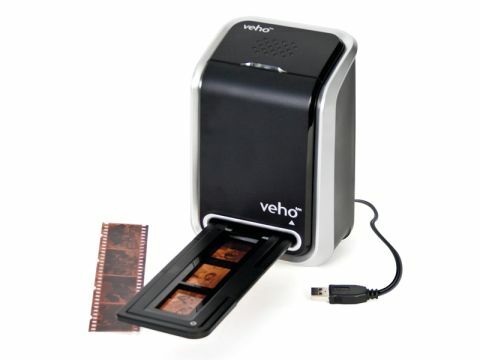 This unique device brings analogue photography into the digital age by allowing you to scan 35mm negatives, import them to your laptop and convert them into digital image file formats. Negatives are clipped into the supplied holder and then, with a single mouse-click, each image is scanned in seconds and pops up onscreen for you to edit and save. The software is extremely easy to install and use. A cleaning brush is also included for removing dust from your negatives to help you get the best results from your prints, making this a fantastic and easy way to upgrade your analogue photo collection to high-resolution digital copies.